using knife slice yandere-chan can slice it's enemy's throat resulting in a knock out. 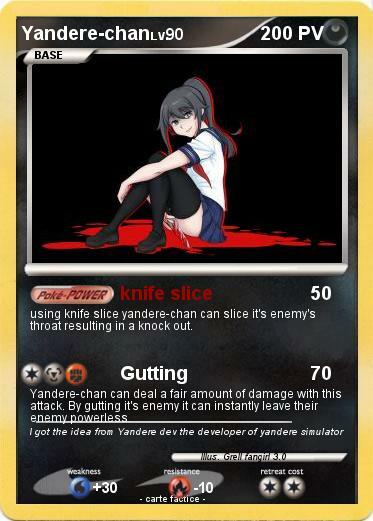 Yandere-chan can deal a fair amount of damage with this attack. By gutting it's enemy it can instantly leave their enemy powerless.